Rotary will be hosting the event, which benefits the United Food Bank of Plant City. The tradition of southern hospitality is going strong with the Daybreak Rotary Club’s sixth annual Cracker Country Feast. The fundraiser for the United Food Bank and other charities will be Friday, Oct. 21, at the Walden Lake home of George and Cassandra Banning. Tickets: The cost is $75 each. Tickets must be purchased in advance through the Daybreak Rotary Club by calling Carole Wright at (813) 707-8838 or George Banning at (863) 660-8979. Attendees will dine on comfort food, drink locally-brewed craft beer, enjoy live music and have the option to enter a large gift card raffle. The Bannings often offer their backyard gardens as a venue for local charity events. George Banning has been a longtime Rotary Club member and Cassandra Banning does charity work with therapy dogs in the area. The Cracker Country Feast is the Daybreak Rotary Club’s largest fundraiser for the United Food Bank. Last year, it raised just under $23,000. Many students in the county live in poverty and rely on schools to provide them with breakfast and lunch during school semester. During breaks and summer months, Daybreak Rotary aids the United Food Bank of Plant City in providing students with weekly food packages they can take home. As a member of Rotary International, a large organization dedicated to connecting professional and community leaders to promote goodwill and charity worldwide, Daybreak Rotary also donates a portion of money raised toward international causes, such as disaster relief. In the past, it has donated to assist typhoon relief efforts in the Philippines and, most recently, hurricane relief efforts in Haiti and Cuba. 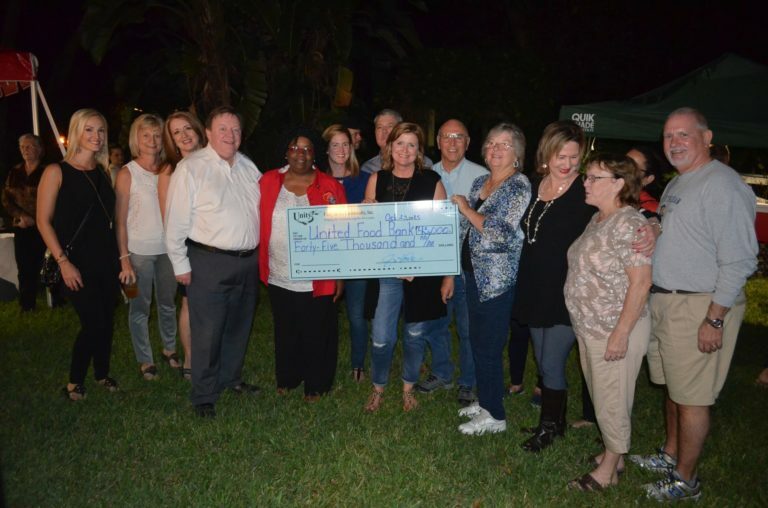 On a local scale, Daybreak Rotary also raised funds to build a new Intensive Care Unit at South Florida Baptist Hospital and regularly donates books to local elementary schools.